This week TLFG is taking a slightly different format. 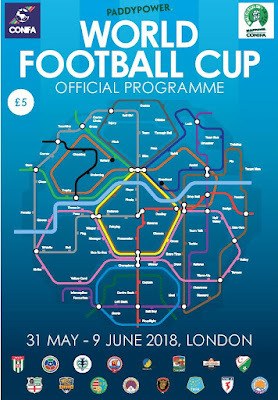 That's down to the fact that London is currently hosting the CONIFA World Football Cup and we only know what's going on at short notice so I'm going to aim to produce a fresh guide every other day for the rest of this week to reflect what's going on. If you haven't heard of it, the tournament is for teams representing 'nations, de-facto nations, regions, minority peoples and sports isolated territories' which are not recognised by FIFA. Competitors in the 16-team tournament include Northern Cyprus, Panjab, Tamil Eelam and Tibet with every continent bar South America represented. There have been one or two familiar faces among the squads and former Premier League referee Mark Clattenburg has officiated at some of the games. Also on the refereeing side of things, a green card has been introduced and is shown to players guilty of dissent or diving - it will lead to them being immediately substituted. 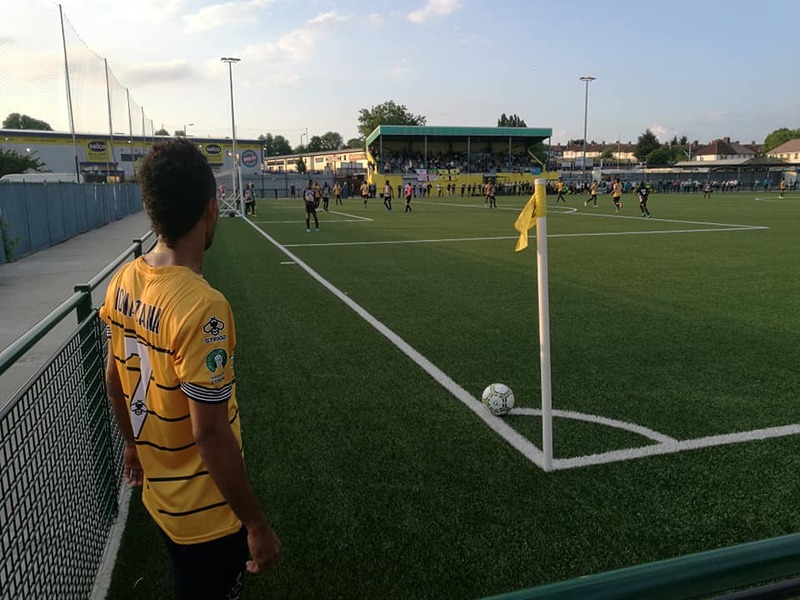 Matches are taking place at 10 different non-league grounds in and around London with the final at Enfield Town on 9 June. 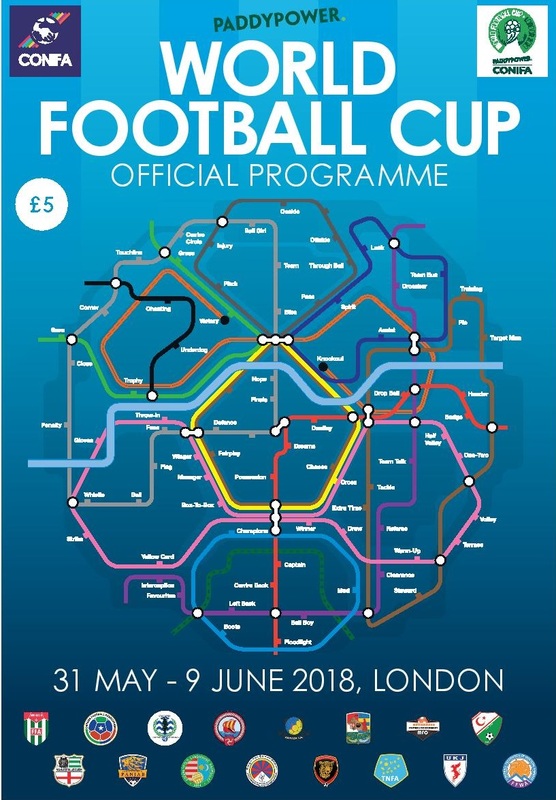 There is also a souvenir programme for the tournament which can be ordered in advance and also a range of merchandise - as CONIFA is a not-for-profit organisation run by volunteers, all purchases will make a big difference. So far, I've seen Abkhazia draw 2-2 with Northern Cyprus - a result which sent the reigning champions into the placement competition and Matabeleland's 3-1 win over Tuvalu. Next up for me is one of the semis on Thursday and the final on Saturday. The big news since I last wrote is the unholy row which blew up after Ellan Vannin got knocked out in the final group game by Barawa who they then accused of having fielded and ineligible player. After a lot of to-ing and fro-ing, CONIFA rejected their appeal and ultimately Ellan Vannin quit the tournament in protest. As a result, a couple of sides have been drafted in at short notice to play friendlies and fill the gaps in the fixture list. I know many of you have made it to games too and there have been some great photos appearing on social media. We're also lucky enough to have a video piece from our friends at 'Two Men In Search Of The Beautiful Game' too which I've attached above. The atmosphere at these games has been great with singing, dancing, flag waving, drum beating and even some naughty smoke bombs which we all, not so secretly, love. There are eight matches in the tournament on Thursday with several grounds hosting two games so a double, triple or even quadruple header is possible. The only realistic possibility of this is if you stay in south London and shuttle between Bromley, Sutton and Carshalton but a car or bike will probably be required to see four games. Details on all of this week's games can be found on the following match maps. If you've never used them before, please note that when there is more than one match at a specific ground you'll only be able to see individual match pins if you zoom right in. If you don't, the pins obscure each other and you might miss them. To avoid this, you can also scroll down the list of games on the drop down menu at the top of the map page to make sure you get all the information. With the quarter-finals completed, all the losers from those games move into the placement competition for 5th-8th, while the losers of the first round of placement games move into a new contest for 13th-16th. This guarantees that each team which makes the journey to London plays six games and gets their money's worth.